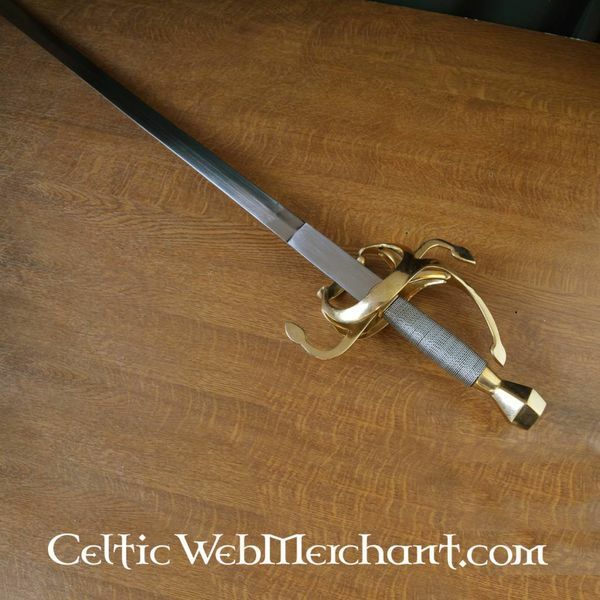 In the Renaissance the sword became more and more a second weapon beside the gun or the pistol. 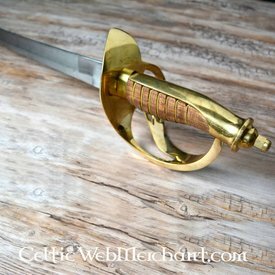 The blades became slimmer, a hilt became more usual than a cross-guard and the point was sharper for good stabbing. 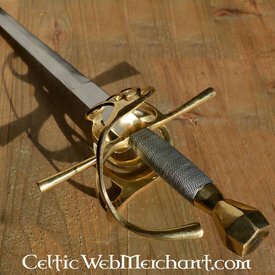 The ricasso, an unpolished part of the blade, became more popular and was often used. 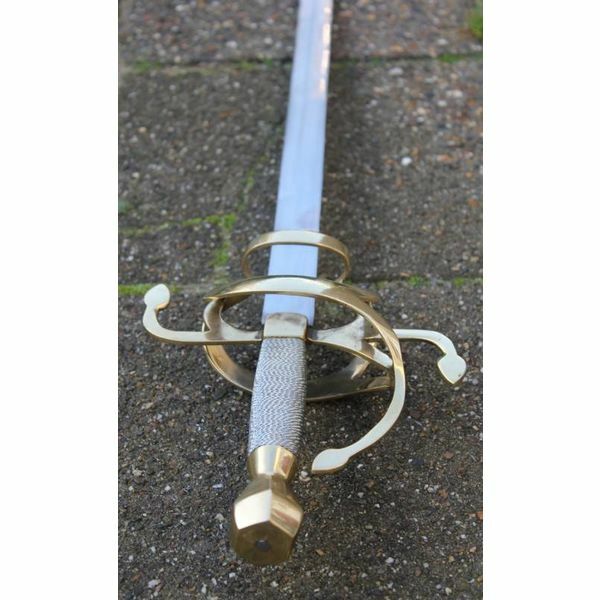 One of the most well-known Renaissance swords was the rapier, which was mainly used as a duel and fashion sword. 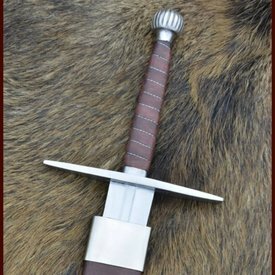 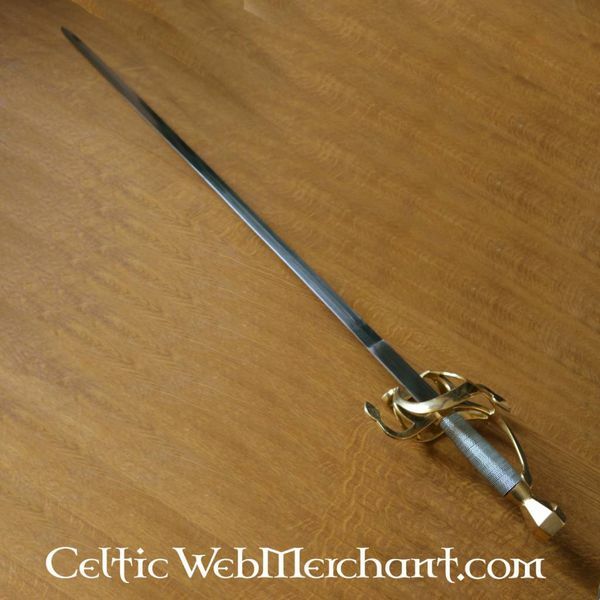 This slim sword already originated in 1470 and changed in a fast stabbing weapon without cutting edges. 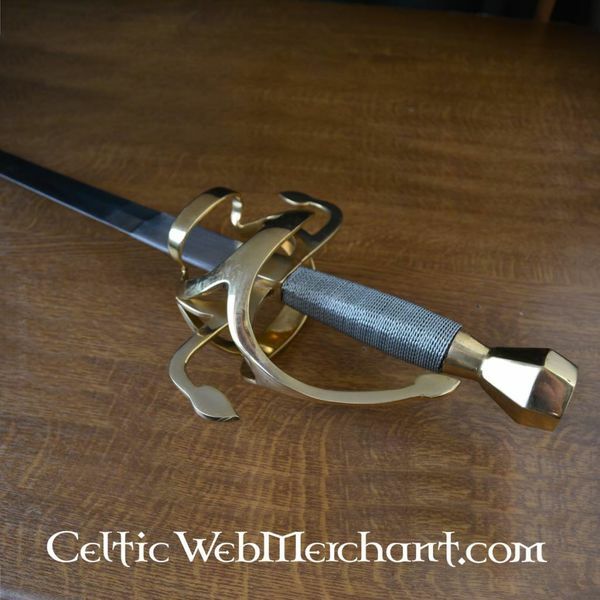 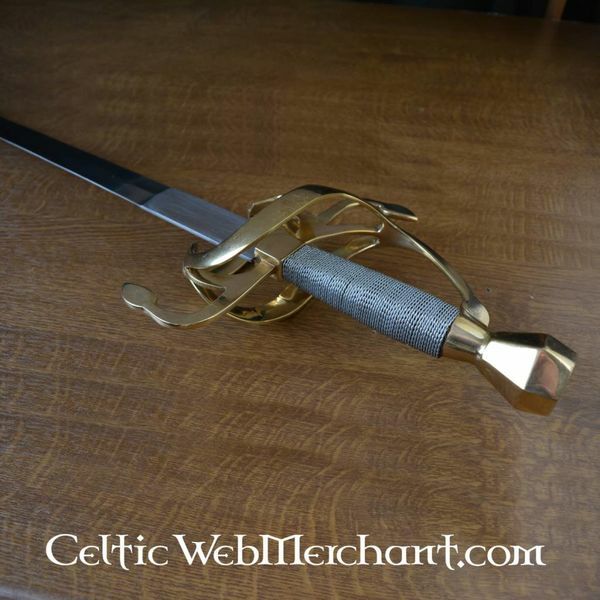 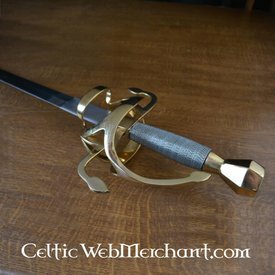 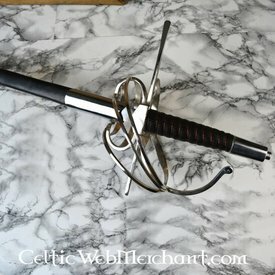 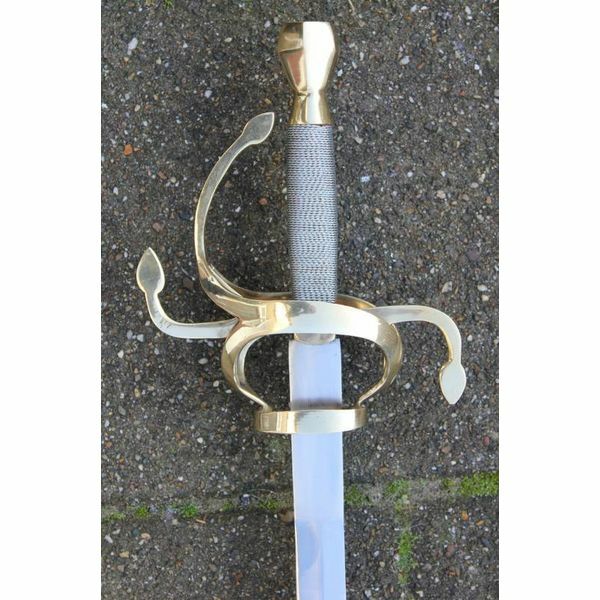 This 17th century rapier was used in many Christian countries. 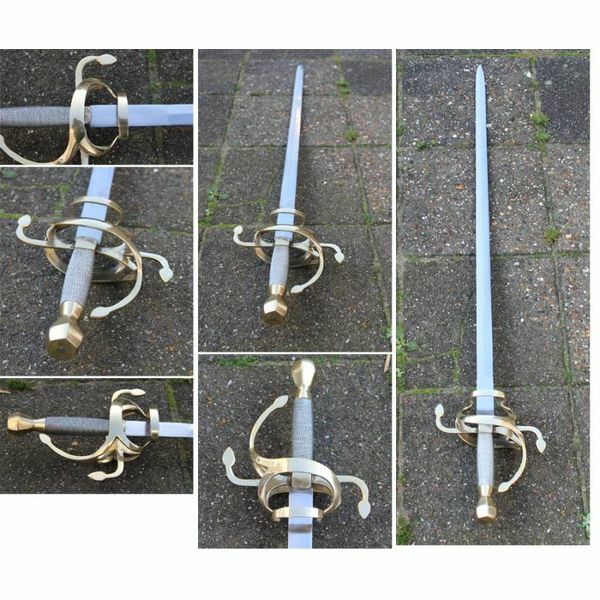 Its length is 112 cm and it has a blade with a length of 95 cm and a width of 3 cm. 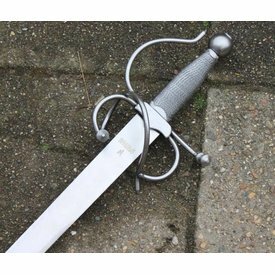 It weighs just 1259 g.